Wishing you a Wednesday full of fun and joy! I am sharing a monthly box with you today! It has brought my daughter and me a lot of silly joy! My daughter LOVES socks, what girl doesn’t! 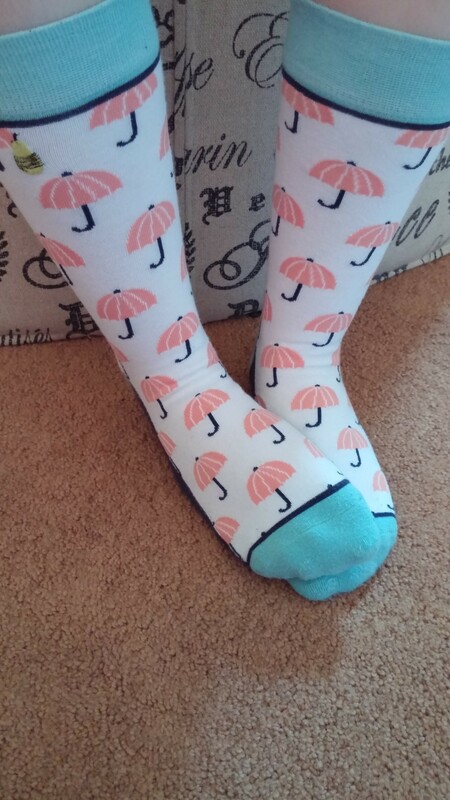 If you are having a rough morning and you get dressed and put on a pair of FUN socks, how can you help but not smile?!! I found a company called Woven Pear. 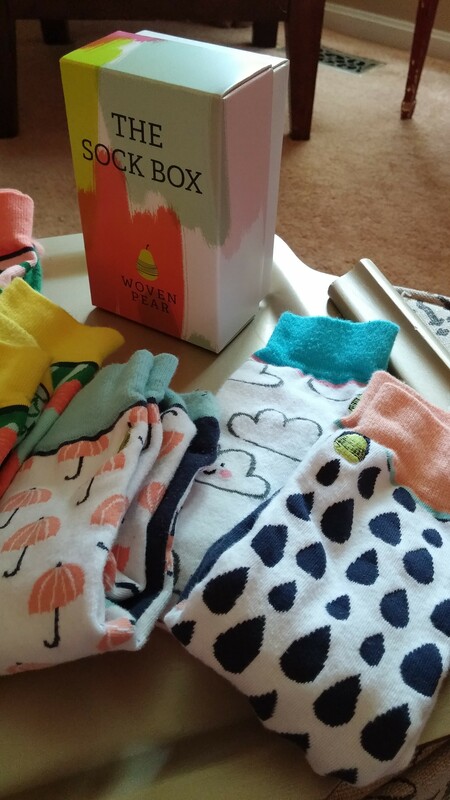 They ship a “Sock Box” each month with 3 pairs of socks in them and they are always the most FUN socks! They are reasonably priced and a very good quality sock. 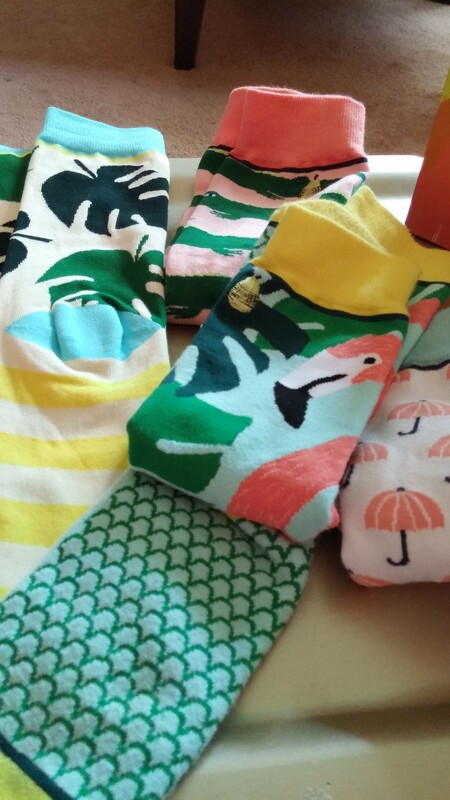 I have purchased A LOT of socks and these are some of the best! We have received 2 months of socks so far. The first box came, I looked inside the box then shipped them off to my daughter in college. 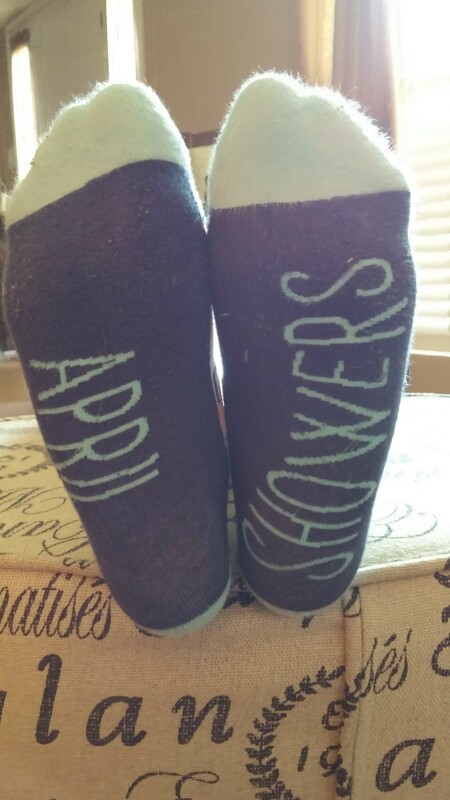 I did not realize how special they were until she told me about the bottom of the socks! See the pictures below for the nice surprise! ENJOY!